The upcoming 2016-2017 NBA season, Steph Curry is out to accomplish what only three other players in NBA history have achieved – a three-peat of MVP trophies. Only Larry Bird, Wilt Chamberlain, and Bill Russell have the honor of being the league’s most valuable player for three seasons in a row, and there’s no reason to believe that Curry, already on his way at being an all-time NBA great, can’t reach a third straight trophy. This Summer has been a quieter one for Steph, who after the Finals opted to spend his free time with his family and focus on being at full strength for the NBA season. The Summer has also been about the Curry 2.5, the Playoffs-and-beyond edition of his massively popular signature shoe. Today, we take a close-up detailed look at the Curry 2.5 design, which includes a number of details that are either overlooked or just not obvious to the average consumer. The shoes have gone on to be one of the most popular on the planet based off the strength of Curry’s success and persona, but there’s plenty of design detail that deserves some shine. 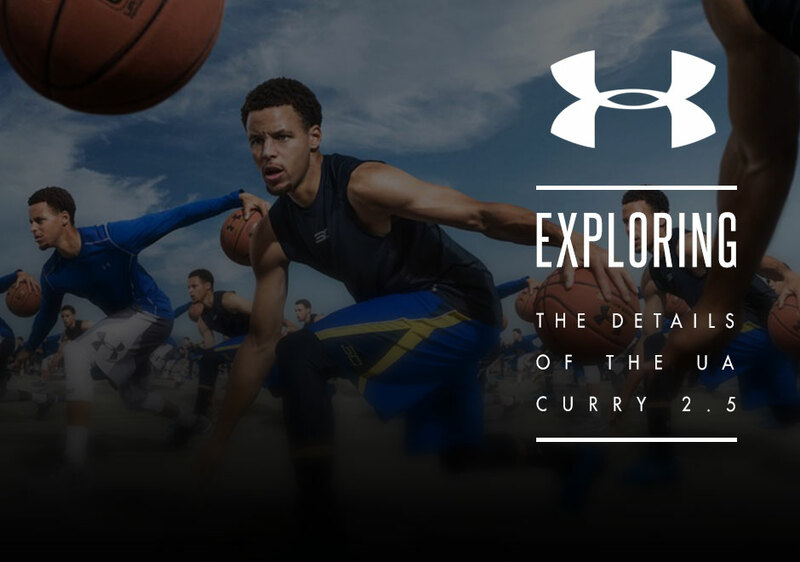 As we patiently await the release and unveiling of the Curry 3, explore with us the Curry 2.5 and the hidden details that make this one of Under Armour’s best shoes ever. Steph Curry is a hero in the Bay Area. That said, it’s no surprise that the Curry 2.5 has some hidden tributes to the region; the unique design on the polyurethane upper is inspired by the Bay Bridge, an architectural marvel of the region. The data that is featured on the heel is actually a call-out to Oracle Arena – specifically, the GPS coordinates. The design of the Curry 2.5 relies on edgy lines and sharp corners, which lends to its visually striking nature on the court. 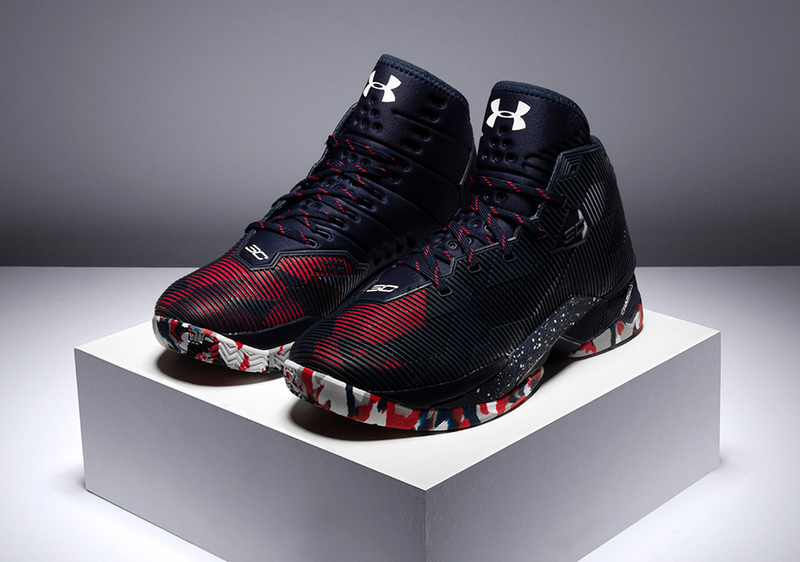 This is all deliberate, because the Under Armour designers looked to a warrior’s spearhead for inspiration, as it informs the sharp and targeted design of the shoes. In addition, the diamond shape of the spearhead represents five teammates working together, and if you’ve watching any one of the Golden State’s 73 wins, you’d know that the Warriors rely heavily on teamwork. Charged cushion technology is not new to Under Armour. 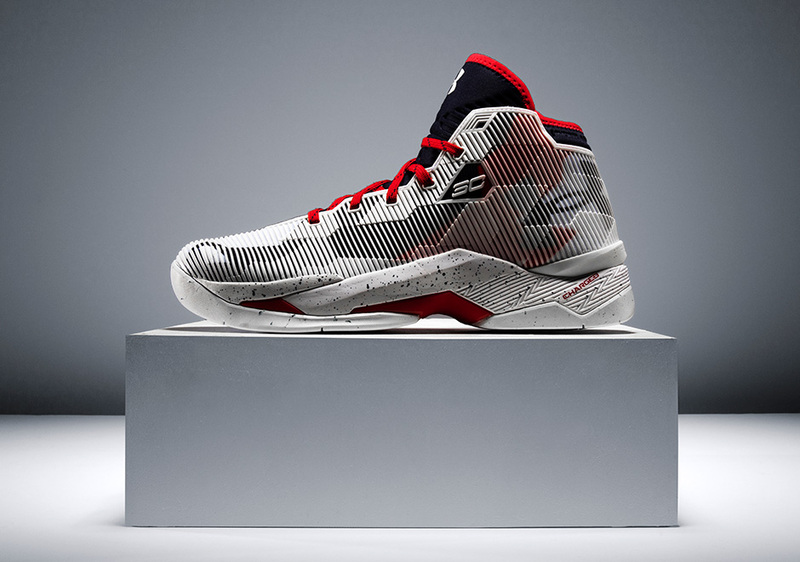 In fact, it’s one of the technological pillars of the UA footwear development, and it’s also what supports Steph’s game night in and night out. Charged cushioning absorbs impact and translates it into response, which is crucial for Steph’s blink-and-you-missed-it release from the perimeter. 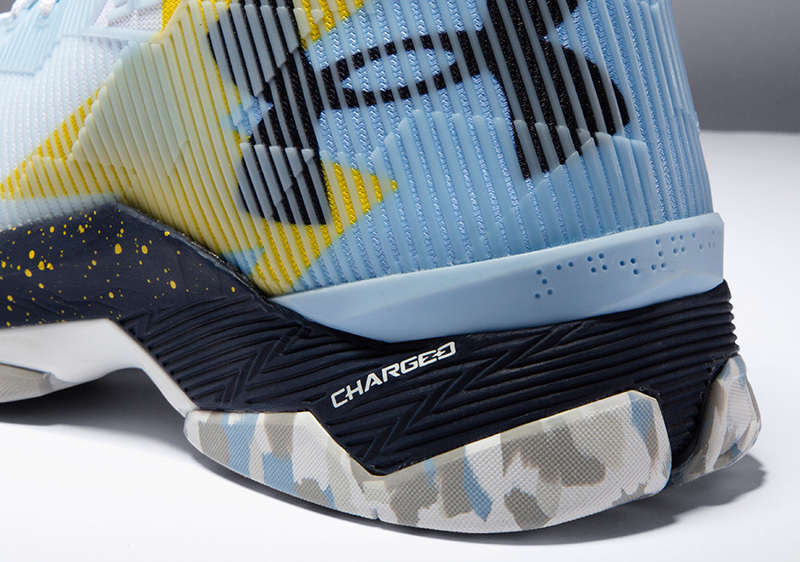 The Curry 2.5 stays as light as possible by shedding any unnecessary weight. 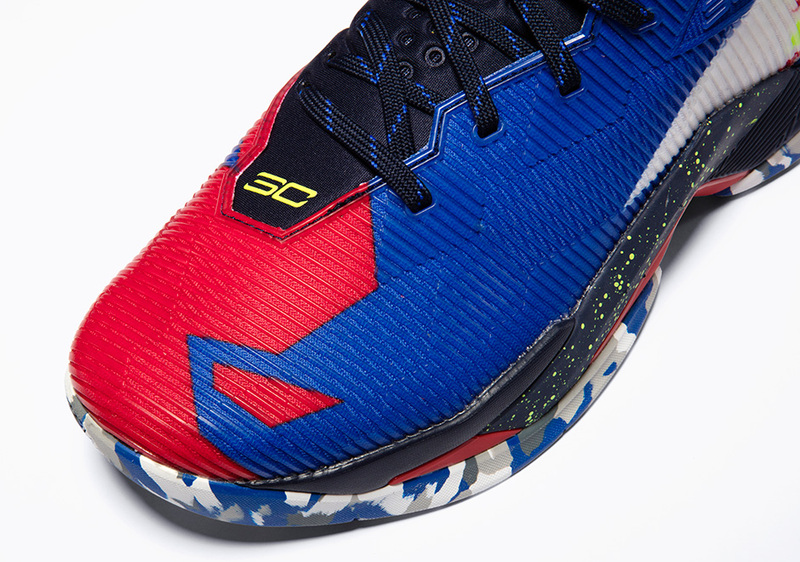 That’s a big reason why the design team behind the Curry 2.5 went with an external polyurethane shell. The tongue construction also extends directly from the medial side with a softer material, which provides enough protection and versatility for Steph and any other player who laces them up.